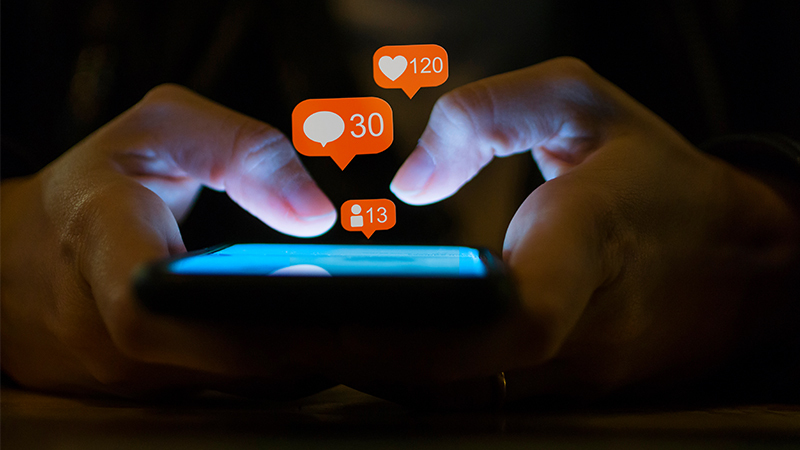 Social media is a great way to keep connected with your friends and family. It can also, however, be a major time waster. It’s easy to innocently hop on to see what’s going on in your social feeds, and then the next thing you know, you’ve spent 30 minutes just scrolling and not learning much useful information beyond what your friends had for lunch. Turn off notifications. Most social media notifications do not need your immediate attention and just serve as distractions. For iPhone, Settings > Notifications > tap the app you want to turn off > Tap the slider next to Allow Notifications. For Android, Settings > Notifications > Tap the slider beside each app you want to silence. Delete one or two social apps from your phone. We tend to just open social apps out of boredom and end up doing a lot of mindless scrolling. By deleting the ones that aren’t really useful to you, you lessen the odds of wasting precious moments of your day. Move apps off of home screen. Out of sight, out of mind: if they’re not readily visible when you look at your phone, you’re less likely to be tempted to open them. 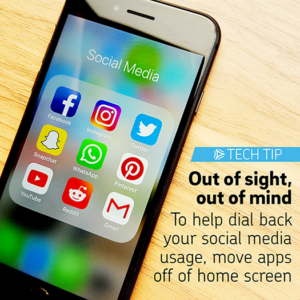 Download an app to help manage phone usage.Apps such as SPACE and In Moment allow you to set social media usage alerts that will notify you when it’s time to step away from the phone. Use a real alarm clock.The number one reason people site for keeping their phones beside their bed at night is that they use it for its alarm function, but what it really leads to is interruptions to your sleep and to your phone being the first face you see every morning. Using a real alarm clock helps you to start your day out doing something more beneficial than scrolling through your Twitter feed. Put your phone away. Challenge yourself to be more present in the moment – when you’re with your friends and family, keep your phone in your pocket or purse.